When we begin to come into compatible products industry, there is always a problem that confused us, we are not sure if a device can be compatible with another device in different brands, even after they connected, did not know what would happen, well, this page I will explain the problem with the actual example. 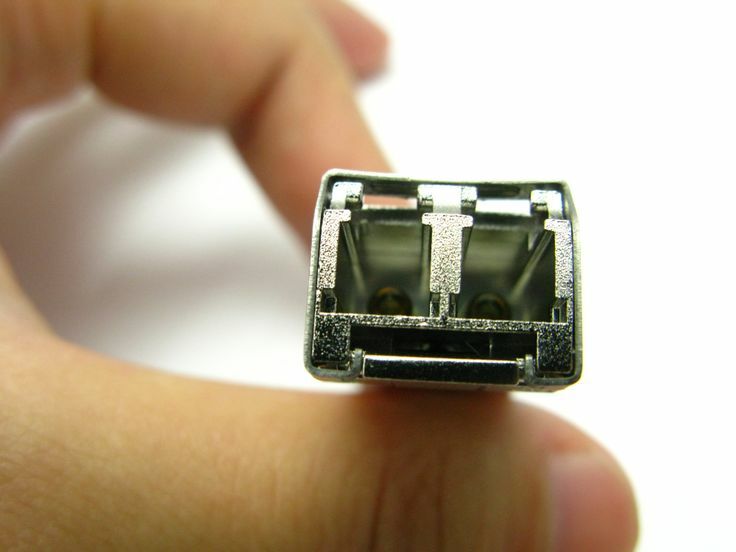 For example, we need to connect Dell M6330 blades switches to a HP 2910al by fiber sfp+ over sr (50/125 um OM3 fiber from tyco). Then i ordered the SFP+ module for the 2910al (J9008A), two transceiver modules for the DEll switches (one each) and 4 x Dell 10gbase-sr sfp LC LC transceiver. And if all the connection between the M6220 done well, but when i plug the Dell transceiver into the switch there is no link up, what it means that if the HP switch refused to work with the Dell transceivers, but there is no event log notice of incompatibility, Then the questions is, if i can connect the HP switches to Dell by SFP+, or do you know if using non-HP brand SFP+ transceivers will work with the HP transceiver? Well, in this issue, If you are indeed using optical transceivers in the switches, then no switch has any idea about what transceivers are in any other switch. Switches only know about the directly connected (plugged-in) transceivers. Now, as for the transceivers themselves. The J9008A is simply an expansion module. HP ProCurve switches will not accept non-HP ProCurve transceivers. So, if you have been trying to use the Dell SFP/SFP+ transceivers with the HP 2910al, that would be your problem. You are required to obtain HP ProCurve transceivers and use those. In general, we have to say that HP switches do not accept non-hp transceivers, such as Cisco, Dell, Juniper, Netgear and so on…You can’t plug a Dell transceiver in a ProCurve switch and expect it to work. Although there is a MSA (Multi Source Agreement) for SFP transceiver, in practice HP switches do not accept non-HP transceivers. Cisco equipment also can only utilize the Cisco SFP module and other brand module or equipment is not supported. If you just plug in the other module, Cisco port information will be displayed on the Unsupport or unknown. In simple terms, as for the unknown GBIC, Cisco device does not provide any warranty. In a word, when we choose the device, we just have to choose the same brands products, compatible products also can be used. Above the Figure shows that the popular compatible module in our Fiberstore.